Does your video converter support HTML5 video batch encoding? If you have many videos want to convert to HTML5 video format. You may need this batch conversion feature. 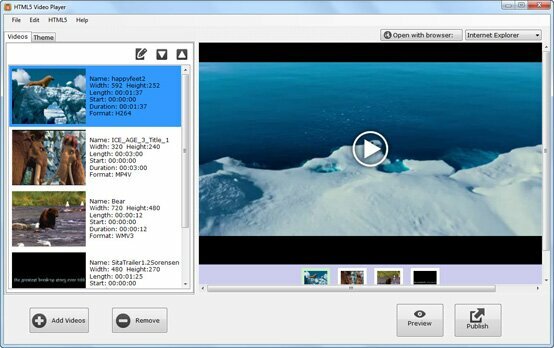 Our HTML5 video app supports batch encoding to the html5 videos. We have found most of the HTML5 video conversion tools in the market today do not allow users to convert multiple videos in the same process, thus we have added this feature to meet your batch video conversion needs.